Under 6 to Under 15 Age Groups, including under 14 all girls team. 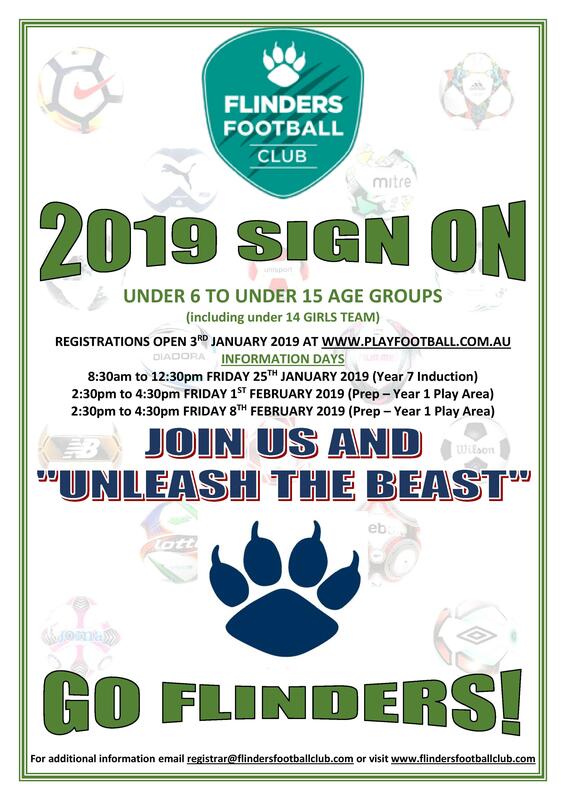 Registration opens 3rd January 2019 at www.playfootball.com.au. Copyright © 2019 Flinders Football Club. Powered by WordPress. Theme: Accelerate by ThemeGrill.